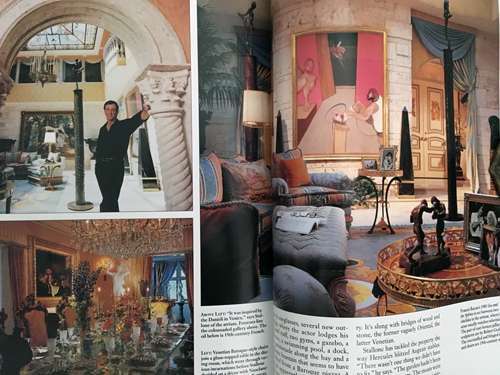 November, 1997 issue of Architectural Digest has a beautiful full-color spread on the architecture and interior design of Sly and Jennifer Stallone’s Miami mansion. 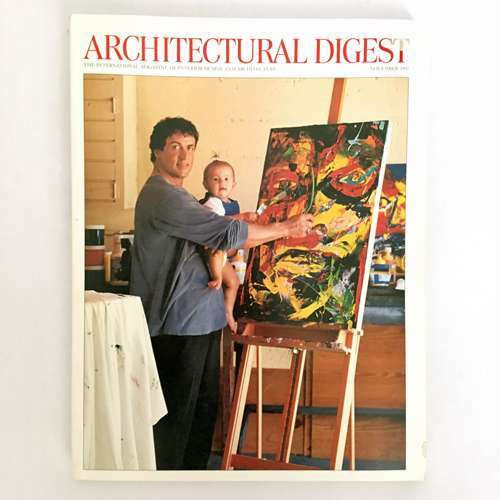 Sly is pictured with his little daughter Sophia on the cover working in his artist’s studio. 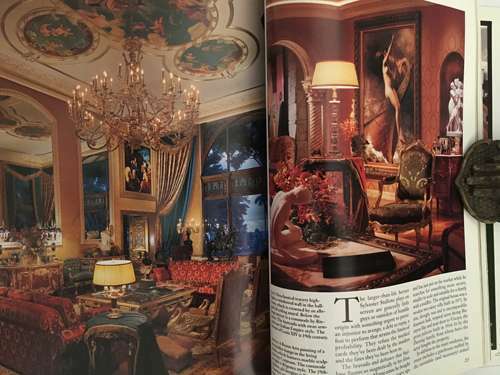 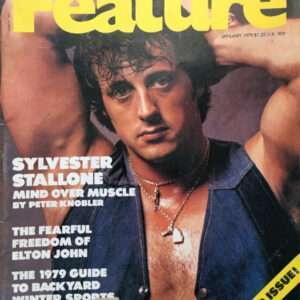 Sylvester Stallone’s house in Miami was inspired by everything from the Sistine Chapel to Gianni Versace to the Ritz hotel in Paris, the article says, and is filled with awe-inspiring photographs of their home and grounds, including a Rocky statue by the pool. 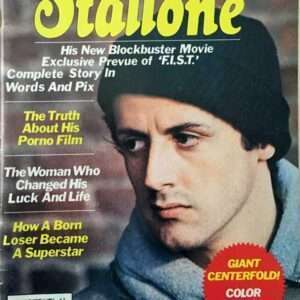 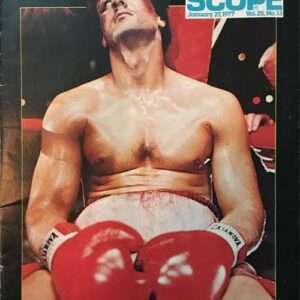 302-page magazine is in good condition, rear cover has a small tear.